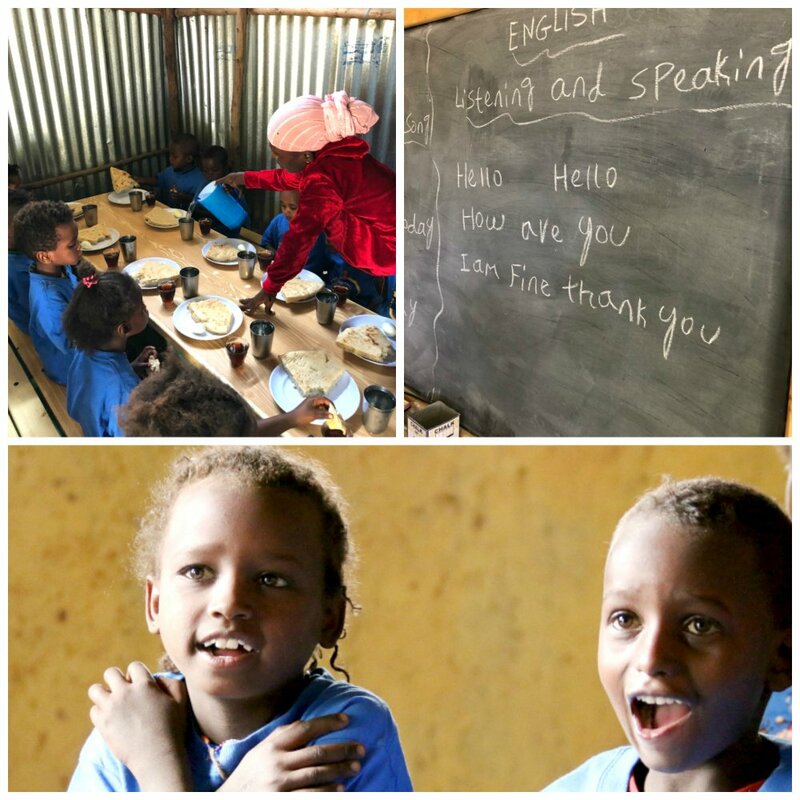 In one of our focus areas for evangelism we have a kindergarten with three classes – KG1, KG2 and KG3. Bringing 60 children to school every day is a wonderful opportunity to introduce them to Jesus. 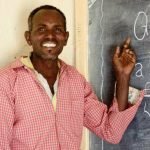 The teachers are Christians, the class size is small (20 children per class compared to 50 children in a traditional Ethiopian kindergarten! ), and a hot lunch is provided daily. It is our joy to impact young lives! KG3 – Abu (Ah-boo) Fayiso is young and not yet married but he is clearly a leader. He lives in the village where the school is located and is actively involved in the church there. He is passionate about bringing the gospel to all of the children in the school. He has one year experience teaching first grade. By the end of the year the children should be reading and adding and subtracting simple problems. His goal is to prepare them to enter first grade and reading is a must. 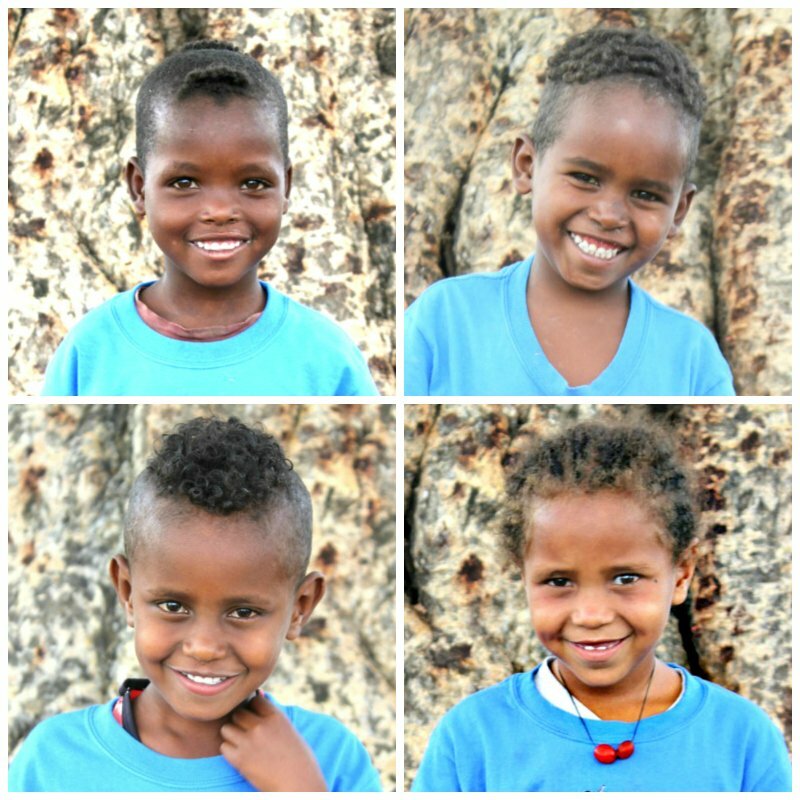 KG2 – Chala Bedane is married and has two children, ages 5 and 3. He lives in a little town next to Bulbula and commutes to school. As a certified teacher, he has taught third grade for seven years. 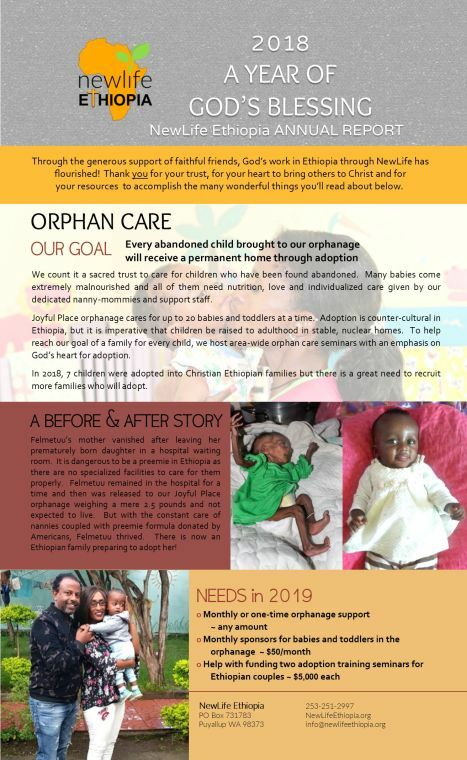 His curriculum for the second year of kindergarten is music, art, introductory English, Oromo, basic math (counting and simple addition) and the building blocks to reading simple words. KG1 – Lelo Lenjiso is married and has three children. He lives in a nearby village. 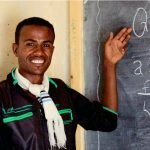 He is a certified teacher, which means he has a 10th grade education + 1 year teacher’s training. He has three years experience teaching pre-school. 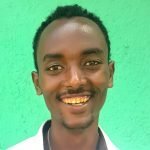 His goal is to teach the children through play to recognize the alphabet and the sounds of the letters, to count and know numbers, know colors & shapes and to be exposed to stories about Jesus. 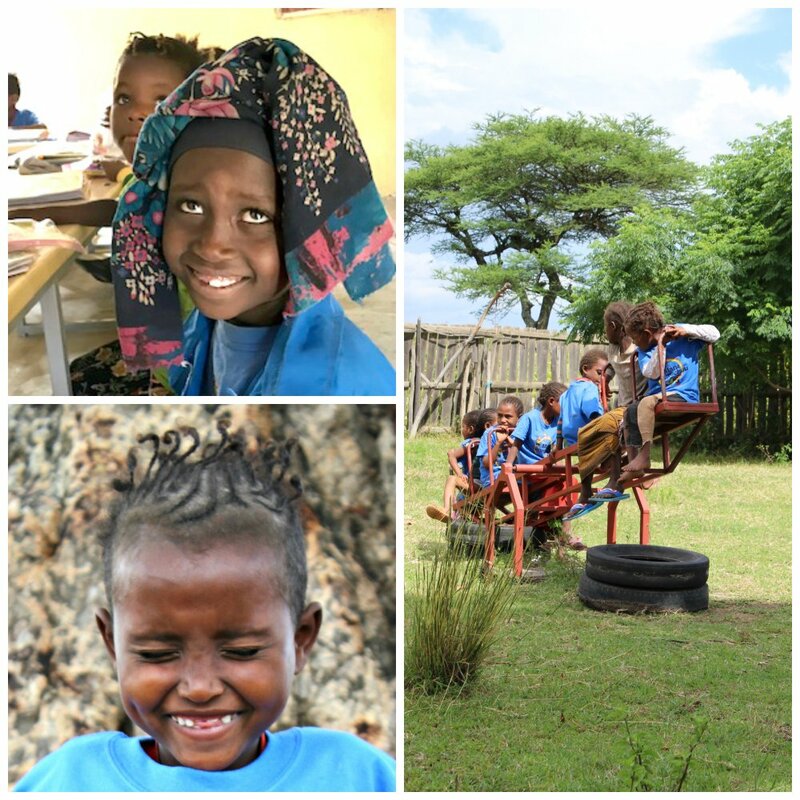 For only $35/month you can provide a year of kindergarten for a child at our Mana Gammachuu kindergarten. 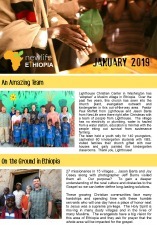 Children in this rural village hear the Gospel as well as get a wonderful start in learning reading, writing and math.